Tony McCoy (aka AP McCoy) is a Northern Irish former jockey who was a leader of the pack in terms of achievement. He rode a record 4358 winners over a twenty year plus career in the sport. His very first win as a conditional jockey came in his teens in 1992 while he was an apprentice for Tony Balding, and 73 others followed that season alone. His successes year on year led to accolades galore. That very year he picked up the Condition Jump Jockey Title. Amazingly, from 1995 onward he won the Champion Jockey title every year until his 2015 retirement. It was this initial success with Balding and the results that followed that resulted in him getting the attention of and working Martin Pipe, a partnership that would endure and bring about much success. As would be expected with thousands of wins under his belt, it should be no surprise that McCoy has won all that there is to win from the Cheltenham Gold Cup, Queen Mother Champion Chase and Grand National. It took McCoy 15 attempts to win the Grand National, but he eventually did it on the Jonjo O’Neill trained Don’t Push It in the 2010 race. Don’t Push it won be an impressive five lengths at was 10-1 joint favourite. 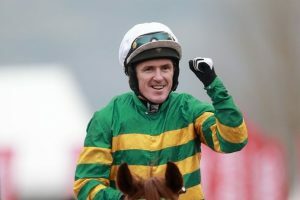 The sum of Tony McCoy’s achievements resulted in him winning the RTE Sports Person of the Year, the BBC Sports Personality of the Year and also being made an Order of the British Empire (OBE) for his contribution to racing. His inrivalled success is a blueprint to success for many jockeys in the sport, but will prove to be an incredibly difficult act to follow.